AT&EE - got a certain ring to it, don't you think? 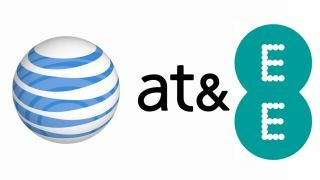 American mobile carrier AT&T could land in the UK and other countries in Europe in the near future if whisperings from insiders are to be believed. According to sources who've spoken to the Wall Street Journal the network is considering potential acquisitions in Europe as it looks to expand its business internationally. It's thought that AT&T has it sights set on the likes of the UK, Germany and Holland with mobile network EE the tastiest proposition on our fair shores. Apparently AT&T is keen to push the 4G network in Europe which has witnessed slow adoption rates compared to the US and the firm will also look to drive revenue from more data-centric plans. Along with EE in Britain the Dutch carrier Royal KPN is also said to be on AT&T's radar, although there's no guarantee that any of these networks are actually under consideration. AT&T CEO Randall Stephenson has hinted that the firm may look to expand overseas and when he was questioned earlier this year on the possibility of acquiring companies abroad he said: "I think it is inevitable." Surely the last thing T-Mobile and Orange customers want is to wave goodbye to another carrier name on their phones and see their high street store transformed once again into a new money-grabbing temple of mobile price plans – but has anyone told AT&T that?